After an offseason of questions and anticipation the 2014 Auburn football season opened on Saturday with a tied game at halftime, a completely different second half and a lightning delay. “Bert” Bielema left town without an SEC win (again), though we understand he did at least finally manage to free his assistant coaches from the evil clutches of Mad Scientist Gustav and his Elevator of Doom, in a bit of drama reminiscent of 1970s-era Quinn Martin productions. But he and the rest of the SEC have been put on notice – the 2014 Auburn Tigers could actually be better than last year’s SEC Championship team. In a day of strange weather phenomena we are reminded of the 2009 AU-WVU game—the game many point to as the true beginning of Auburn’s 2010 national title run. How fitting that this season—a season that holds such spine-tingling potential—should begin in a somewhat similar fashion. Will the parallels continue? Only time, and eleven more weeks of action, will tell. What do we know or think we know about the team after one game? In the first half Kenny Hill was 27 for 35 for 299 yards, two touchdowns, no interceptions, a 75% completion rate and a quarterback rating of 167.8. In the first half Jeremy Johnson was 12 for 16 for 243 yards, two touchdowns, no interceptions, a 77% completion rate and a quarterback rating of 243.9. Hill averaged 8.5 yards per attempt – Johnson averaged 15.1. So Hill threw twice as many passes and gained a few more yards. After the half Nick Marshall came in and picked up right where he left off last season. The running game opened back up once he started running the zone read and the ground game helped control the second half. Despite Johnson’s excellence, there is no quarterback controversy or question. And with positive reports about freshman quarterback Sean White emerging from fall camp, Auburn has more depth and talent at quarterback than any team in the country. And not a single one of them is a Dodgy Flapper. The Auburn coaching staff continues to make excellent in-game adjustments. The Auburn defense went from allowing 151 yards and 7.9 yards per carry (not “Fred Talley flashback bad” but still not good) to allowing only two rushing yards in the entire second half (!!!). Here are the Arkansas rushing yards by quarter: 89, 62, 7, -5. The Auburn offensive coaches adjusted the game plan perfectly between Jeremy Johnson and Nick Marshall and the end result was a win and a positive start to the SEC season. Our primary concern heading into the season was the kicking game. And now? Daniel Carlson did miss a field goal (to be fair, he bonked it off the post), but Auburn is now first in the SEC and 5th in the nation in punting and had touchbacks on seven of eight kickoffs. So yes, we feel a little better about the kicking game. Let’s get past a road game with solid kicking and then we won’t worry anymore. The Auburn pass rush was a concern before the season and is still a concern. During the game Saturday a lot of Auburn fans were thinking, “We can’t cover anyone!” But they should have been thinking, “We are giving this mediocre quarterback way too long to throw the ball.” The pass rush must improve before Auburn plays teams that are actually dangerous throwing the football. From whence will such a hypothetical pass rush come? Cassanova McKinzy playing defensive end? LaDarius Owens? One of the freshmen or JUCO players? Coaches are vowing that they will coach up the players we have and transform them into a fearsome force along the front. The proof remains to be seen. 5. I’m the Duke, Pilgrim! Duke Williams will be the SEC Offensive Newcomer of the Year. He size and ability to catch the ball in traffic will make him a dominant force this season. We love the “catch radius” concept that Jesse Palmer was throwing around in reference to Williams’ ability to snag anything anywhere near him. And he has the best nickname to cheer when a big play happens. DUUUUUUUUUUUUUUUUUUKE! 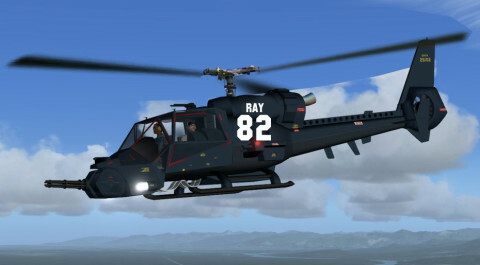 Melvin Ray—we’re torn on whether to dub him “AirWolf” or “Blue Thunder”—once again dropped in behind the defense from a helicopter, just as he did in the BCS Championship game against FSU. He clearly has the ability to make impact plays –plays that nobody sees coming, because they never seem to see him coming! – and he is like the 8th receiver on the depth chart!! In the absence of actual game stories much of the discussion about this game has revolved around SJSU Coach Ron Caragher’s comments about playing country music loudly during practice to prepare his team for a trip to the Plains. (This didn’t go over well.) Should Auburn fans be worried about this matchup? Not really, but don’t expect 62-0. SJSU was a very dangerous team on offense in 2013 but lost excellent starter David Fales (who, despite his rather unfortunate last name, was actually pretty good) and most of the offensive line experience. The team returns only 23 combined starts among the offensive linemen so Auburn’s defensive line should have more success than it did in the first half of the Arkansas game. SJSU has a lot of returning experience on defense and a new defensive coordinator (former Texas DC and Syracuse head coach Greg Robinson) but the Spartans were 106th in rushing defense last year and that is a problem when facing this Auburn team. At any rate this game should be easier to enjoy than the last visit from a Mountain West team (2011 Utah State!). Read The Wishbone’s 2014 SEC Auburn here. Listen to the AU Wishbone Podcast here. I think Melvin should be the commando or the assassin since he pops up behind enemy lines and they never see him coming.